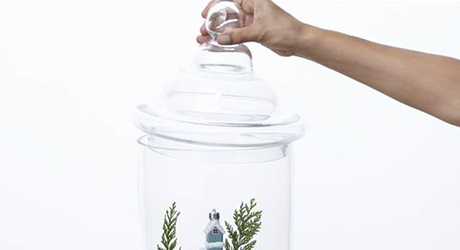 Add a festive holiday decoration to your collection by making a holiday jar. 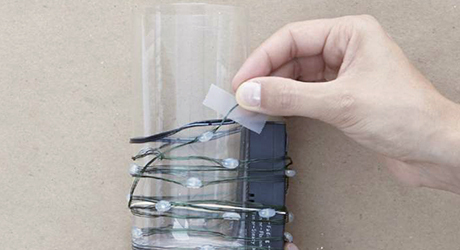 Affix the wire light battery pack to the outside of a juice glass by wrapping the lights around the glass and the battery pack. Tape the ends if necessary. 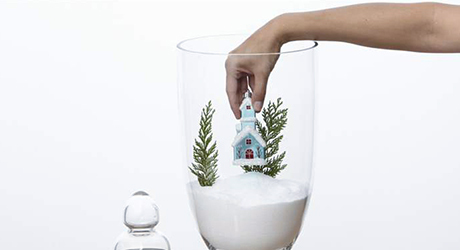 Place the juice glass upside down in the bottom of the apothecary jar. 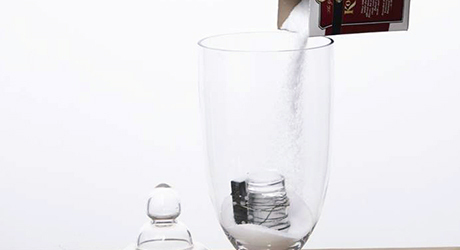 Fill the jar with enough salt to cover the glass and battery pack. 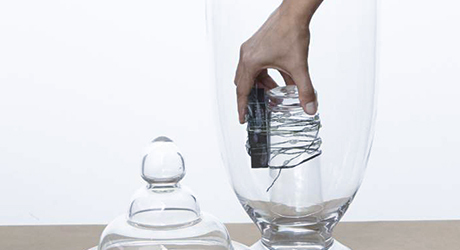 Turn on the battery pack and place the church ornament on top of the glass. Position some evergreen pieces in the salt and cover the jar. 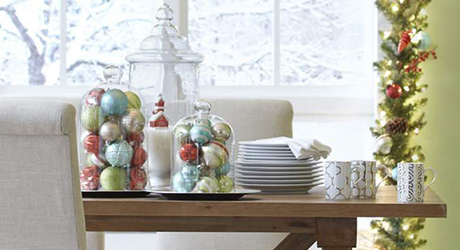 Use the jar as a centerpiece, or place a pair on your mantel for a festive touch.